a2b Fulfillment recently returned from the Direct Selling Association Annual Meeting in Orlando, Fl. This event brings together direct selling industry executives, suppliers and educators in an effort to protect the direct selling opportunity and advocate for the support of independent contractors and entrepreneurs. It’s also a wonderful opportunity for networking with direct selling industry peers and get a pulse on what’s happening within the industry. Direct selling makes a big impact on our global economy through its support of small business owners and aspiring entrepreneurs. Last year, a record 20.5 million people were involved in direct selling in the United States – an increase in 1.5% from 2015. 800,000 of those people are full-time and 4.5 million are part time. The estimated direct retail sales of 35.54 billion dollars in 2016 is the second most in direct selling history. 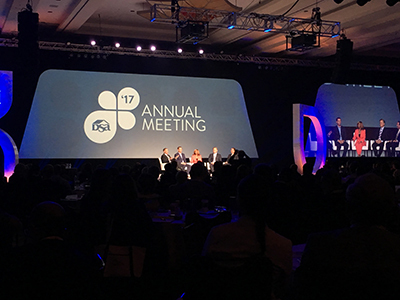 By bringing together executives from across the direct selling industry, the DSA annual event helps members understand current trends, challenges and issues. No matter your level of tenure, fellow members are quick to welcome and mentor new members that are eager to be involved in the industry. In addition to its support of small business, the direct selling industry also promotes business education. The most successful direct selling companies provide training support and mentoring programs for its representatives. Being a part of this industry teaches valuable entrepreneurial skills that include accounting, marketing, sales and customer service. It’s in that same spirit that the Direct Selling Education Foundation was established. The purpose of the DSEF is to engage, equip and empower educators to provide students with an accurate understanding of the channel as a powerful go-to-market strategy, distribution model and entrepreneurial option, and to teach the correct principles of direct selling. Dave Wentz, Chairman of the DSEF Board of Directors highlighted the progress on the Foundation’s three-year commitment to increase the scale and impact of its academic program. Over the next three years, the DSEF plans to forge partnerships with 200 professors through the DSEF Fellows Program and, by June 2019, reach more than 60,000 students per year through classroom content, research, campus programs and other vehicles. As a supporter of DSEF, a2b Fulfillment is excited by the progress and looks forward to seeing the impact it makes on the future of direct selling. 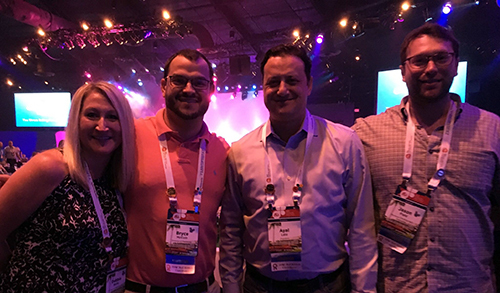 Joe Mariano, President of the Direct Selling Association, moderated a panel of other DSA leaders who shared their perspectives on the most critical issues facing direct selling today. One of the issues highlighted was advocacy growth within the DSA. From an ethical standpoint, the DSA provides a voice in setting the public policy agenda. DSA protects the sales channel, as well as preserves the freedom and flexibility for direct sellers to build their business on their own terms. Distinguishing between “what is a direct selling company?” and “what is a fraudulent scheme?” is crucial in protecting consumers. The DSA Code of Ethics is the foundation in this and the key in differentiating DSA member companies from others in the space. DSA members also work directly with Congress to promote anti-pyramid legislation, preserve independent contractor status and support sensible tax reform.